Sound Level Meters to measure all kinds of sound and perform a variety of analyses based on the Data obtained. On offer is a wide range of products to suit every scenario. The Rion NL-27 sound level meter is the perfect portable system to ensure precise and repeatable measurements with an easy to use interface. With a graphic indication of the current sound level updating every 0.1 seconds it makes measurements easy to understand and interpret. Due to its focused functionality it is able to deliver 9 hours of battery life on alkaline batteries. Complies with IEC 61672-1:2002 Class 2 requirements. NA-28 is a compact and lightweight real time Noise Analyzer which comes with 1/1 and 1/3 Octave Band analysis function built into the unit. The NA-28 has a wide range of measurement from 10 Hz to 20 kHz. A colour screen display allows for easy and quick review of data. The Rion NC-72A Pistonphone is a standard sound source that generates a constant sound pressure of 114 dB at 250 Hz. Designed to provide sound at an atmospheric pressure of 101.325 kPa the unit includes a barometer for compensation if required. The pistons of the Rion NC-72A Pistonphone are manufactured with a special resin material with low friction. This manufacturing process allows both pistons to maintain their initial performance levels for about 2000 hours without the use of grease. * Usable as a standard sound source in laboratories or as a calibration sound source for sound level meters on site. The Rion NC-74 Sound calibrator generates a constant sound pressure of 94 dB at 1kHz. The Rion NC-74 is designed to be a compact and lightweight unit which requires no atmospheric pressure compensation. This is done by incorporating a sensor which detects the atmospheric pressure which is in turn detected by the CPU which controls the signal amplitude. This eliminates the need for any pressure compensation. 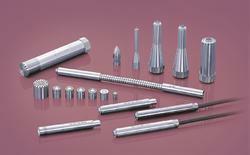 Rion has a wide range of condenser microphones which are suitable across a wide range of applications. Rion’s microphones have an extremely stable frequency response across their specified frequency ranges which allows for better measurements. Also available are a series of preamplifiers to allow for the connection of the Rion Microphones to a wide variety of Rion equipment. 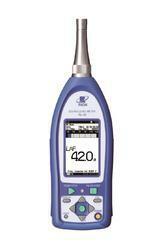 Rion’s NL-42 Class 2 Sound Level Meter allows for measurements from 20 to 8000Hz in a single hand held portable Unit. It combines cutting edge technology with excellent quality and unrivalled ease of use. By adding a program to the NL-42, octave band and 1/3 octave band real-time analysis can be realized. Saved analysis results can be loaded and shown in an overlay graph display together with current analysis data. NC curve graph display and NC value calculation/display are also possible. Rion’s NL-52 Class 1 Sound Level Meter allows for measurements from 20 to 20000Hz in a single hand held portable Unit. It combines cutting edge technology with excellent quality and unrivalled ease of use. Rion’s priorities for on-site measurements are speed, ease of use, quality and reliability. The New NA-28 is the top of the Rion range of sound level meters and analysers. It combines cutting edge technology with excellent quality and unrivalled ease of use. Makes it possible to measure sound pressure levels together with sound pressure waveforms during frequency analysis. This allows you to listen to specific events. You can also reanalyse recorded sound. This program card adds FFT analysis capability to NA-28, with an analysis frequency range of 20kHz and 8000 analysis lines. This program card is used for simple and easy measurement of airborne and floor impact sound insulation of buildings and reverberation time. Data is stored as text files. When used in conjunction with waveform recording card NX-28WR, sound waveforms during measurement can be recorded simultaneously.